Spotify offers you legal and free access to a huge library of music. All you need to do is create an account and download our streaming music player. For more details have a look at our video or introduction page. No, the advertising-funded version of Spotify is free of charge, however, for now it requires that you receive an invite to register, click here to sign up for an invite. Alternatively, you can pay for an ad-free subscription to Spotify. Can I download or buy music in Spotify? We have links on a large number of albums and tracks that you can click to purchase mp3’s from our download partner. To purchase tracks right click on the track or album (control click on Mac OS) and select “Buy From”. Downloading is currently only available in the UK, France and Spain. How much advertising will I be exposed to? 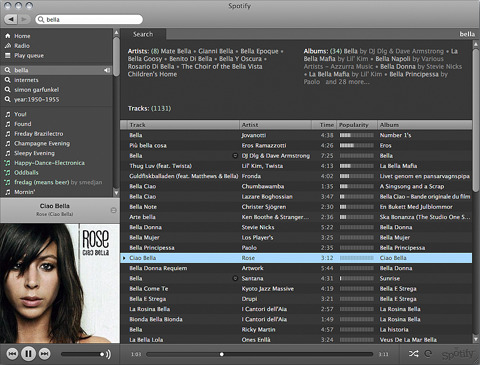 There should be significantly fewer ads in Spotify than you’d find on commercial radio. We are trying to strike a balance between artists who want to be paid and providing the best possible user experience. Is paying for Spotify online safe? Yes, Spotify’s payment partners are PCI-certified, which is the global industry standard ensuring compliance to strict security and data protection standards.